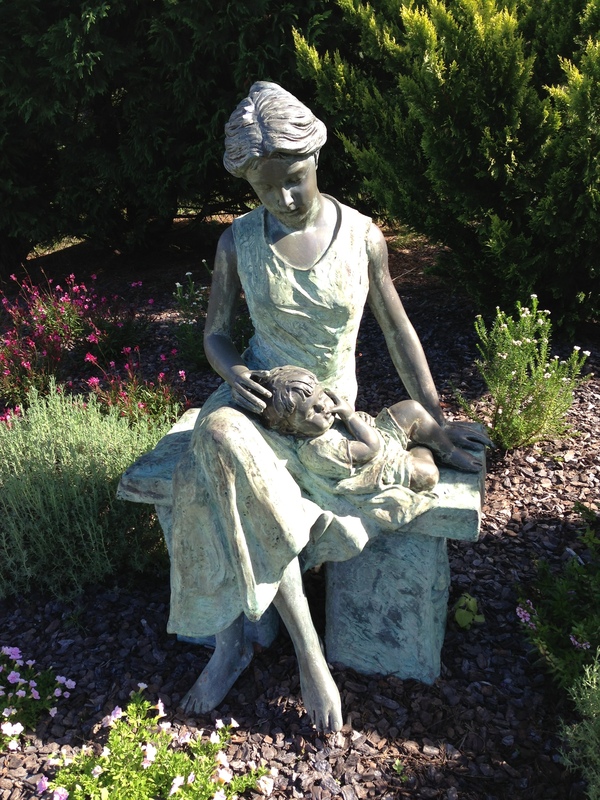 ← Breastfeeding – a medical mystery???? I remember when my oldest daughter was 6 weeks old, I was changing her nappy and this fear suddenly washed over me. It was the thought that I would be responsible for her for the next 18 years. What if something happened to me? Who would look after her like I would? My Mum had died the year before when I was 24 and my 3 brothers were 26, 23 and 22. I also had a little sister who was 11 at the time. My Dad did the best he could after Mum’s death but he just didn’t cope. My sister spent so much time with me but I knew I wasn’t her Mum – you only have one Mum. Here I was, a Mum and a big Sister and it weighed heavily on me. I didn’t want to let these two beautiful girls down. Two years later I had my second daughter and whilst I was still fearful, I sort of knew what I was in for, so I just tried to be as calm and relaxed as one can be with a teenage girl, a two year old and a new baby! When I reflect on that time, I can see that my fears were the result of grief and anxiety that had built up since I was 18 when my Mum was diagnosed with Breast Cancer. She was given a year or two to live but she was determined and she fought. She wanted to see us grow up and she was so sad that she probably wouldn’t see my Sister reach her teens. She saw two of us get married and she saw her Grandson albeit for only 6 days. He was my firstborn and he was born very early because of a rare tumour discovered in his kidney. He died during surgery on his 6th day of life. In that moment, my life as I knew it ended. The grief was so totally enveloping and surreal. I wanted to open my eyes and see that it was all just a really bad dream. Less than a year later my Mum was gone too. In the month she was in hospital I could not bring myself to imagine that she could leave so soon after my precious little boy. We all know the devastation Cancer can bring. The X Rays and Scans got worse and the news was difficult to comprehend. I was a nurse and I was having trouble – imagine how my Brothers and my Dad were struggling. I tried to explain things as honestly and directly as I could but nobody wants to hear that their Mum or Wife isn’t going to last the day and no one wants to be the bearer of that news! I tried to prepare my sister after I picked her up at school on that day but she just couldn’t understand what I was saying. It breaks my heart to this day. Her little voice asking me why they couldn’t take the bad bits out and put new bits in. We arrived back at the hospital seconds after my Mum had passed away. That was nearly 28 years ago. I have my two beautiful daughters who are also my dearest friends. I will always love them and I will always be their Mother. I have one photo and a few mementos of my son who will always be in my heart. I will always be his Mother. My sister is a wonderful Mother to two little boys who I adore. Being a Mother is for ALWAYS. Even though my Mum is gone she still lives in my heart. I think of her often and tell my girls about their NANNA. I miss her so much and wish she could have met her granddaughters. Whether a child dies through miscarriage, stillbirth, neonatal death, SIDS or through illness or accident you NEVER stop being their MOTHER!!!! This entry was posted in For the love of babies and tagged babies, baby, calm, children, crying, doctors, mindfulness, mother, motherhood, mothers, newborn, paediatricians, parents. Bookmark the permalink.